Waffle House complaints number & email. I think its COMPLETELY childish and unprofessional that i cant complete my last day of training because IDELLA has a PERSONAL problem with me! Her personal issues shouldnt effect an entire company! Especially when she was in the wrong! Especially when ive been thru training before! And especially when her store isnt my home store!!! She had an issue with me and didnt tell me! She talked about me to 2 other workers and had them come tell me she already clocked me out! How is that professional?!! And now NO OTHER manager will even help me deal with the situation! They are all about there vacations and money to even help someone else with ANYTHING! THIS IS OUTRAGEOUS!!! THINK I'LL JUST CALL A NEWS STATION!!! At 1:45 AM we went to a waffle House in clemmons nc. There were 4 people working. No one acknowledged that we were there and it was not busy at this location. We decided to go to another location on Jonestown Rd in Winston Salem. The woman Debra was very rude from the beginning. This is ridiculous. All we wanted was to eat waffle house. I will never be back at any waffle house location. Get verified information about Waffle House complaints email & Phone number. Phone or write in the first instance. The complaints line is 1-877-9-WAFFLE (1-877-992-3353). If you wish to correspond with Waffle House online you should use the online form via their website. To complain to Waffle House, contact their complaints line on 1-877-9-WAFFLE (1-877-992-3353). They can also be contacted by mail and online contact form if required. Waffle House also provide details of independent bodies to contact if you are unable to resolve your complaint direct with the company. Waffle House, Inc. is an American restaurant chain. The first Waffle House opened on Labor Day weekend in 1955 at 2719 East College Avenue in Avondale Estates, Georgia. That restaurant was conceived and founded by Joe Rogers Sr. and Tom Forkner. Hopefully, We helped you to get some genuine records for Waffle House Complaint information. 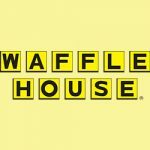 Use below complaint form to discuss problems you have had with Waffle House, or how they have handled your complaints. Initial complaints should be directed to Waffle House directly. You can find complaint contact details for Waffle House above.